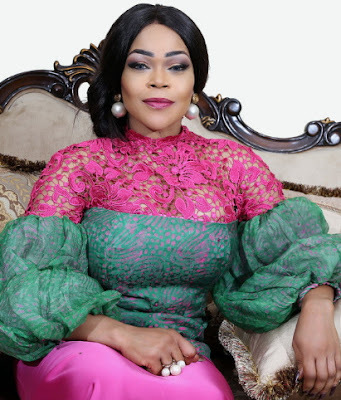 Shaffy Bello, known for her sonorous voice in the song ‘Love me Jeje’, alongside her cousin Seyi Shodimu, is one of the aged actresses that are keeping the younger ones on their feet at the moment. Currently gracing the face of Nollywood movies, usually as a swift talking high-class woman, the singer also showed her prowess in ‘Ovy’s Voice’, where she takes on a completely different role, as a full Yoruba personal with an interesting accent to back it up. 20years after, having spent some time in the United States of America, the mother of two who has decided to return home and pursue her passion is surely performing well and endearing fans. She can be described as a hot cake for movie producers now, and also a fashion icon. Shaffy’s, who left in 1987, command of the English language is evident in her interpretation of roles and her ability to bring her characters to life. Since her return, she has featured in quite a number of movies that include, ‘Cougar’, ‘Tinsel’, ‘Taste of Love’, ‘When Love Happens’, ‘Gbomo Gbomo Express’, ‘Ovy’s Voice’, among others. I like her acting style but don’t fancy her name. Na jealousy dey do u so….. She nor even knw u so she nor care less waitin u think.. I just love this woman, a very good role interpreter. Everything about her for me is superb??? ?